NEW YORK, Jan. 23, 2017 /PRNewswire/ -- On April 21st, Ray Davies will release his first new album in over nine years – 'Americana' – via Legacy Recordings (a division of Sony Music Entertainment). The 15-track collection of originals serves as a master-crafted return for one of the most acclaimed and iconic songwriters of the past 50 years, and follows Davies' 2013 memoir of the same name, using the book as both source material and creative catalyst. Davies enlisted The Jayhawks as backing band, and recorded the album in London at Konk, the studio founded by The Kinks in 1973. 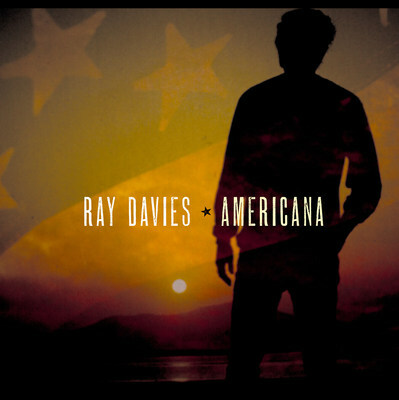 'Americana' was written, conceived, and arranged, by Davies, and co-produced with Guy Massey and John Jackson. The album is an autobiographical work, chronicling the inextricable role America has played in Davies' life. From his earliest days touring the U.S. with the Kinks and subsequent blacklisting by the American Musicians Union, to his years playing stadiums and eventually staying in New York and New Orleans for a time, America has served as both muse and tempest to Davies. The songs on 'Americana' dig into the rich American musical tapestry, through the lens of Davies' own wholly unique American experience. The music swerves from the open-road manifesto of "The Great Highway," to a delicate duet with The Jayhawks' Karen Grotberg on "Message From The Road," to "Poetry," which offers a vital reminder of Davies' ability to spin small detail into penetrating truth. The album also features a number of short spoken-word passages from Davies' memoir. A second volume to 'Americana' will be a released later in 2017. 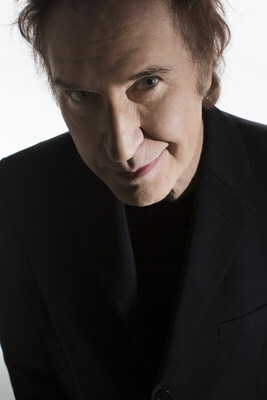 Since the release of his last studio album of new material, 2008's 'Working Man's Café,' Ray Davies released the 2010 collaborative project 'See My Friends,' which featured Bruce Springsteen, Mumford & Sons, Metallica and Spoon; performed at the closing ceremonies of the 2012 London Olympics; served as inspiration, the original story plus music and lyrics for the hit UK musical 'Sunny Afternoon' (winner of the 2015 Olivier Award for Best New Musical) and much more. At the beginning of 2017 Davies topped Queen Elizabeth's New Year Honours List, and will shortly be receiving a knighthood for his service to the arts. Davies is a member of both the Songwriter's Hall Of Fame and Rock 'N' Roll Hall Of Fame. Five albums by The Kinks were chosen for Rolling Stone's '500 Greatest Albums of All Time' list.